These photos are of the Joolz Day Tailor taken at the Harrogate Nursery Fair. 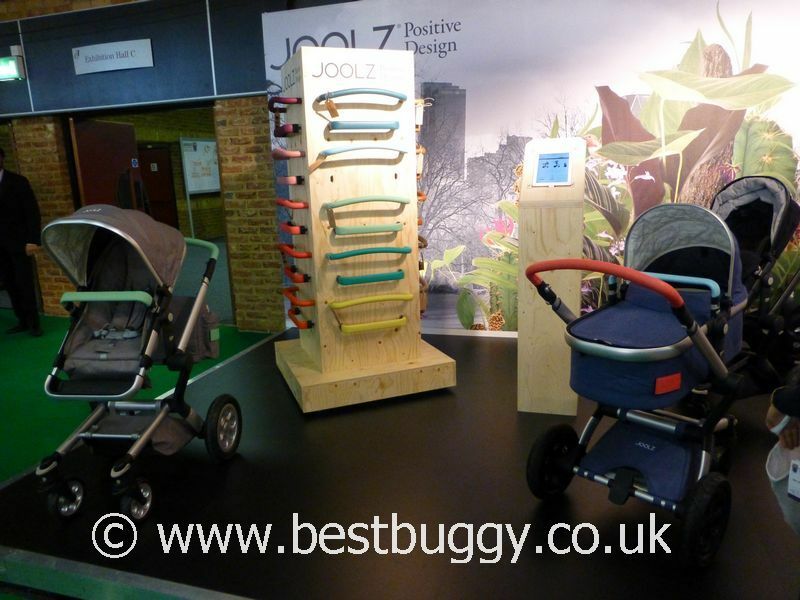 The customer can choose their choice of base fabric from black, grey or jeans, and then can personalise the base with a choice of two types of wheels, and from a range of 20 striking colour packs to configure their own Joolz Day pushchair. There are up to 120 different colour combinations possible. Each colour pack contains a leatherette handle and bumper bar, logo labels, and zipper pulls in one beautiful colour. The choice of Joolz Day Tailor can be chosen on the Joolz website and in selected stores. The Joolz Day Tailor will then be assembled by Joolz and delivered to the customer’s home. 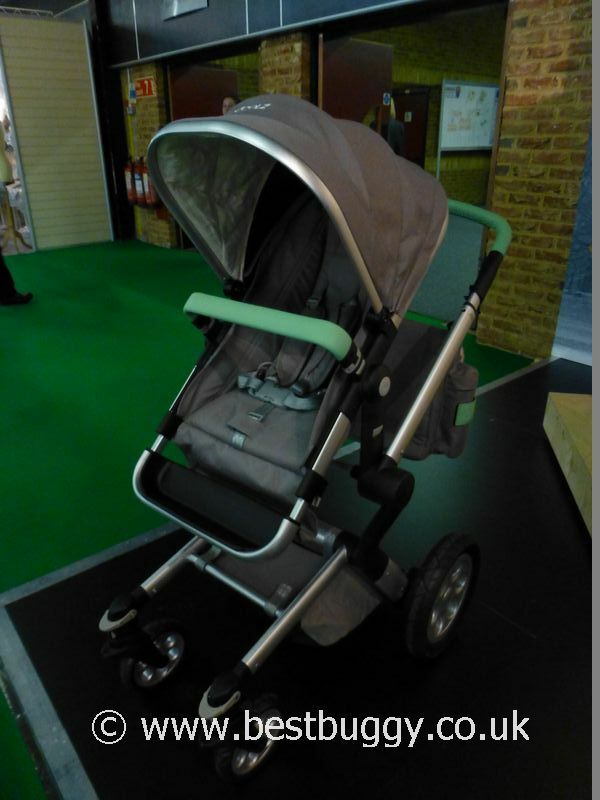 The Joolz Day Tailor comes as a package which includes a chassis, carrycot, seat, basket, raincover, nursery bag and footmuff for an RRP of £999.